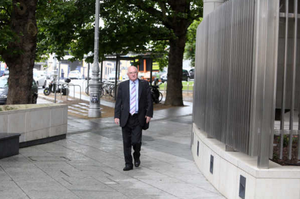 Judge Martin Nolan sentenced three former bank executives at Dublin Circuit Criminal Court this morning for their part in a €7.2bn conspiracy. 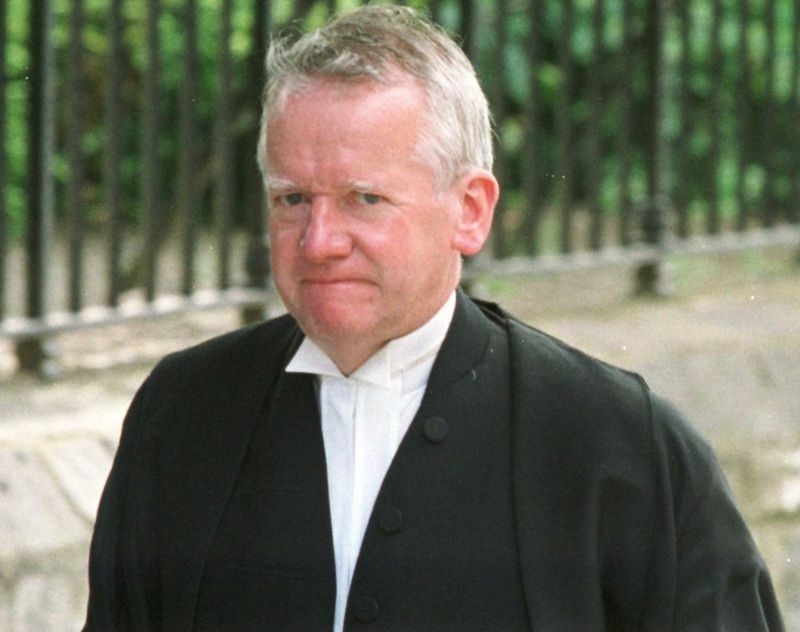 Former Anglo Irish Bank executive John Bowe was sentenced to two years; former Anglo Irish Bank executive Willie McAteer was sentenced to three and a half years; and the former chief executive of Irish Life and Permanent, Denis Casey, was sentenced to two years and nine months. 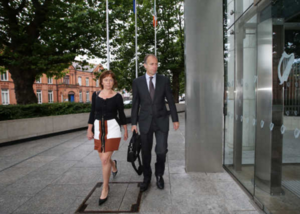 The three men were found guilty last month of conspiring together and with others to make Anglo Irish Bank’s balance look like it had €7.2 billion more than it had – in order to mislead investors. 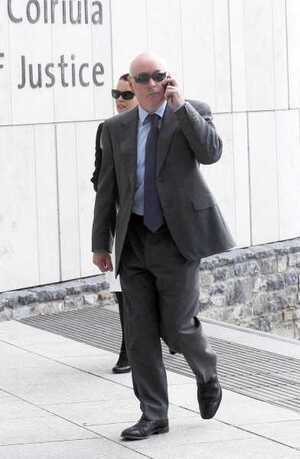 Orla O’Donnell, on RTÉ’s Today with Seán O’Rourke, reported on this morning’s sentencing. Also took aim at Anglo auditors, Ernst&Young @EYnews. He said that it beggared belief that they had signed off on the end of year accounts. 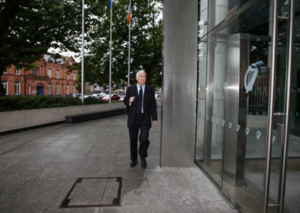 Posted in Misc and tagged Anglo Irish Bank, Irish Life and Permanent, Sentencing at 12:23 pm on July 29, 2016 by Broadsheet. Nolan takes in for account that theyre family men .. yes, family men who helped burden EVERY family in ireland with debt. I think if you were paying attention beyond the catchy headlines you may have read that, wrong as it was, the offence they’re convicted of resulted in no loss to either bank or the state. For the real cause of that I’m afraid you’ll have to stretch your attention span enough to reading about pro-cyclical fiscal policies, bad lending decisions and poor financial regulation. Another in a line of random sentencing decisions from this guy. Is there a seperate sentencing schedule if you’re married? 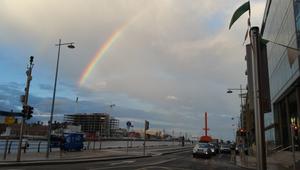 If only I had known……….. Yes you start that sentence directly after the honeymoon. And they wear suits to work. Let’s take that into account too. We are going nowhere. Fast. These scumbags were given very soft sentences. They wrecked thousands of peoples lives! A lot of people commited suicide over mortgage debt. There’s probably petty thieves or burglars who have gotten heavier sentences for stealing €500 worth. These guys stole/defrauded in the millions! I am gobsmacked at this. We are talking about a fraud that cost BILLIONS. The state has been burdened with its aftermath for decades. People’s lives wrecked. And FF most popular party again. The judge said that these men didn’t benefit directly, that they had the “green jersey on”. I wonder if their own pensions, stock holdings and bonuses were checked to see exactly what financial incentive they had to do this. State should have put in a victim impact statement. The fraud didn’t cost billions. It actually cost almost nothing. Both banks would have had the same fall in value (ie almost total) regardless of the fraud. It looks really bad for Ernst & Young, especially from an international perspective. Makes you wonder what else auditors have been turning a blind eye to. After Enron, the reputation of Big Audit is in flitters. The judge said he believed the starting point for prison sentences was eight years in this case. But they got 2 years? I will never understand this. Listen, it be ok, they had the green jersey on under the expensive suits. Though not sure which shade of green the jersey was. to get even lighter sentences.